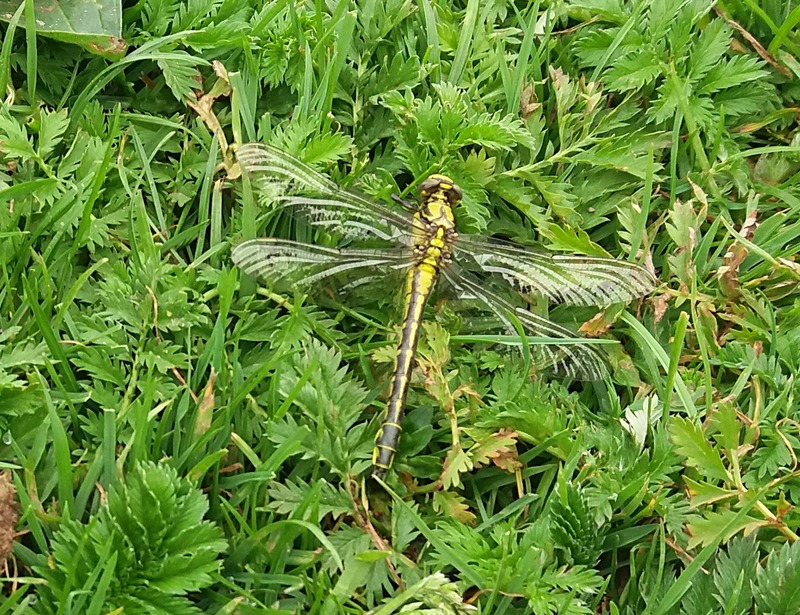 I got forwarded this e-mail message today about a male Club-tailed Dragonfly on Port Meadow. It's good to know that they are being reported more regularly here after the one that made it to the Trap Grounds last year. It may well be worth keeping an eye out along the river for further ones emerging at this time of year. Great find Felicity. It appears to be a female as the hindwings are rounded next to the abdomen rather than notched. Lets hope she is still strong enough to return in a couple of weeks to lay eggs.